Cisco (NASDAQ: CSCO) is the worldwide technology leader that has been making the Internet work since 1984. Our people, products, and partners help society securely connect and seize tomorrow's digital opportunity today. Discover more at newsroom.cisco.com and follow us on Twitter at @Cisco. Cisco, the Cisco logo, Cisco Systems and Cisco IOS are registered trademarks or trademarks of Cisco Systems, Inc. and/or its affiliates in the United States and certain other countries. All other trademarks mentioned in this document are the property of their respective owners. The use of the word partner does not imply a partnership relationship between Cisco and any other company. This document is Cisco Public Information. Greg Griessel Consulting Systems Engineer, Security Solutions, Cisco Southern Africa Greg Griessel is a Consulting Systems Engineer with Cisco Southern Africa specialising in Security. He has over 20 years' experience in IT Security working with Enterprise accounts, 12 of which have been with Cisco. Prior to Cisco, Greg worked at various ICT suppliers and vendors looking after Sales Engineering, and Network Support. He has a National Diploma in Electrical Engineering from Technikon Witwatersrand and he is a globally Certified Information Systems Security Professional (CISSP). Greg enjoys building electronical components that contribute to tech innovations. He is married with two kids. VMware, a global leader in cloud infrastructure and business mobility, helps customers realise possibilities by accelerating digital transformation. With VMware solutions, organisations are improving business agility by modernising data centres and integrating public clouds, driving innovation with modern apps, creating exceptional experiences by empowering the digital workspace, and safeguarding customer trust by transforming security. The VMware NSX Network Virtualization and Security Platform delivers a completely new operational model for networking that forms the foundation of the Software-Defined Data Centre (SDDC). NSX enables the creation of entire networks in software and embeds them in the hypervisor layer, abstracted from the underlying physical hardware while micro-segmentation and granular security are delivered to the individual workload. With 2016 revenue of $7.09 billion, VMware is headquartered in Palo Alto, CA and has over 500,000 customers and 75,000 partners worldwide. Symantec Corporation (NASDAQ: SYMC), the world's leading cyber security company, is defining the future of cybersecurity by solving the industry's toughest challenges of securing mobile workforces, protecting the cloud, and stopping advanced threats. Organizations around the world look to Symantec for strategic, integrated solutions to defend against sophisticated attacks across endpoints, cloud and infrastructure. Symantec operates the world's largest civilian cyber intelligence network, allowing it to see and protect against the most advanced threats. For additional information, please visit www.symantec.com or connect with us on Facebook, Twitter, and LinkedIn. CyberArk is the global leader in privileged access security, a critical layer of IT security to protect data, infrastructure and assets across the enterprise, in the cloud and throughout the DevOps pipeline. CyberArk delivers the industry's most complete solution to reduce risk created by privileged credentials and secrets. The company is trusted by the world's leading organizations, including more than 50 percent of the Fortune 100, to protect against external attackers and malicious insiders. Forcepoint's human-centric cybersecurity systems protect your most valuable assets at the human point: the intersection of users, data & networks. Malwarebytes Malwarebytes proactively protects people and businesses against dangerous threats such as malware, ransomware and exploits that escape detection by traditional antivirus solutions. Malwarebytes completely replaces antivirus solutions to remove the personal obstacles and business interruptions caused by modern cybersecurity threats. More than 10,000 businesses and millions of people trust Malwarebytes innovative machine-learning solutions and global team of researchers to identify emerging threats and to prevent and eradicate malware that antiquated security solutions miss and leave behind. For more information, please visit us at www.malwarebytes.com. Malwarebytes founder and CEO Marcin Kleczynski started the company to create the best disinfection and protection solutions to combat the world's most harmful Internet threats. Marcin was recently named "CEO of the Year" in the Global Excellence awards and has been named to the Forbes 30 Under 30 Rising Stars of Enterprise Technology list and the Silicon Valley Business Journal's 40 Under 40 award, adding those to an Ernst & Young Entrepreneur of the Year Award. Prodata Prodata - Founded in 1992, is a leading Value Added Distributor of specialised hardware and software solutions across the African Continent and surrounding Indian Ocean Islands. With sound management, a driven sales team and an excellent administrative support system, Prodata is a master in the distribution field. We are distributors of market-leading network and storage technologies that are trusted around the globe by major players in the IT Industry. With Rapid7, technology professionals gain the clarity, command, and confidence to safely drive innovation and protect against risk. We make it simple to collect operational data across systems, eliminating blind spots and unlocking the information required to securely develop, operate, and manage today's sophisticated applications and services. Our analytics and science transform your data into key insights so you can quickly predict, deter, detect, and remediate attacks and obstacles to productivity. Armed with Rapid7, technology professionals finally gain the insights needed to safely move their business forward. Digital Shadows enables organizations to manage digital risk by identifying and eliminating threats to their business and brand. We monitor for digital risk across the broadest range of data sources within the open, deep and dark web to deliver tailored threat intelligence, context and actionable remediation options that enable security teams to be more effective and efficient. Our clients can focus on growing their core business knowing that they are protected if their data is exposed, employees and third parties put them at risk, or their brand is being misused. Blue Turtle helps customers build a comprehensive & effective cyber-security operation, exploiting innovative 'next-gen' endpoint protection, threat hunting, network defense & security operations systems enabled through advanced threat intelligence, machine learning and automation. Cybereason is the leader in endpoint protection, offering endpoint detection and response, next-generation antivirus, managed monitoring and IR services. Founded by elite intelligence professionals born and bred in offense-first hunting, Cybereason gives enterprises the upper hand over cyber adversaries. The Cybereason platform is powered by a custom-built in-memory graph, the only truly automated hunting engine anywhere. It detects behavioral patterns across every endpoint and surfaces malicious operations in an exceptionally user-friendly interface. Darktrace is the world's leading machine learning company for cyber security. The Enterprise Immune System uses AI algorithms to automatically detect and take action against cyber-threats. A self-configuring platform, Darktrace requires no prior set-up. LAWtrust is Africa's leading cyber security developer, integrator and trust centre operator. Our areas of our expertise include SSL certificates and management, multi factor and mobile authentication, biometrics, Public Key Infrastructure, key management, digital signature solutions, electronic ID documents, secure email, data and database encryption. Millions of sensitive government transactions are secured by the LAWtrust developed eDNA system that combines privileged access management with biometrics and digital signatures to prevent fraud and record immutable evidence. New areas of focus are IoT security as well as securing blockchain solutions. As the fastest-growing, independent identity and access management (IAM) provider, SailPoint helps hundreds of global organizations securely and effectively deliver and manage user access from any device to data and applications residing in the datacenter, on mobile devices, and in the cloud. The company's innovative product portfolio offers customers an integrated set of core services including identity governance, provisioning, and access management delivered on-premises or from the cloud (IAM-as-a-service). Cloudflare is the leading performance and security company helping to build a better Internet. Today it runs one of the world's largest networks that powers over 6 million Internet properties. Concilium Concilium specialises in providing solutions for security threat mitigation, end to end service visibility and test, certification and maintenance of high speed copper or fibre enterprise and datacentre networks. 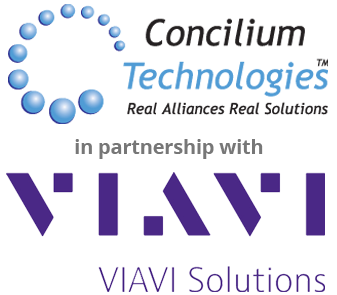 VIAVI Solutions Concilium is an Elite partner in Southern Africa for VIAVI Solutions, a multiple award winner for innovation in network testing solutions. 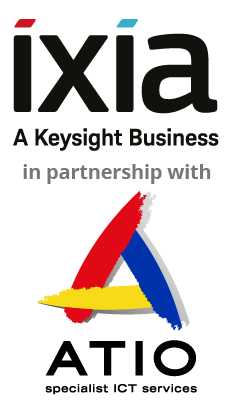 Ixia Ixia, recently acquired by Keysight Technologies, provides testing, visibility, and security solutions, strengthening applications across networks and cloud environments for enterprises, service providers, and network equipment manufacturers. Ixia offers companies trusted environments in which to develop, deploy, and operate. Customers worldwide rely on Ixia to verify their designs, optimize their performance, and ensure protection of their networks and cloud environments to make their applications stronger. 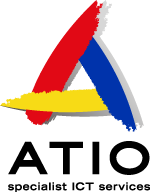 Atio ATIO assures the quality and security of communication services in Africa. As an Ixia Elite Partner, we bring the world's leading test, security and visibility solutions to our customers. Mimecast (NASDAQ: MIME) makes business email and data safer for more than 29,900 customers and their millions of employees worldwide. Founded in 2003, the company’s next-generation cloud-based security, archiving and continuity services protect email and deliver comprehensive email risk management in a single, fully-integrated subscription service. Mimecast reduces email risk and the complexity and cost of managing the array of point solutions traditionally used to protect email and its data. For customers that have migrated to cloud services like Microsoft Office 365TM, Mimecast mitigates single vendor exposure by strengthening security coverage, combating downtime and improving archiving. Mimecast Email Security protects against malware, spam, advanced phishing and other emerging attacks, while preventing data leaks. Mimecast Mailbox Continuity enables employees to continue using email during planned and unplanned outages. Mimecast Enterprise Information Archiving unifies email, file and instant messaging data to support e-discovery and give employees fast access to their personal archive via PC, Mac and mobile apps. Nclose is a leading Specialist Cyber Security Solutions Provider. We architect, deploy and manage security solutions aimed at protecting our clients' resources from damage caused by the ever growing number of threats present in the business place. Puleng is a leading User and Data Security organisation, complimented by our ability to offer Service Orientated Architectures and is a proud member of the AYO Technologies Group. SensePost is SecureData Europe's independent elite consulting arm, renowned for its expertise, 18 year track record and innovation on the frontlines of cybersecurity. With team members that include some of the world's most preeminent cybersecurity experts, SensePost has helped governments and blue-chip companies both review and protect their information security and stay ahead of evolving threats. SensePost is also a prolific publisher of leading research articles and tools on cybersecurity which are widely recognised and used throughout the industry and feature regularly at industry conferences including BlackHat and DefCon. Snode utilises mathematics and a synergy between humans and machines to provide real-time detection and proactive response to all threats on traditional end points through to BYOD, cloud and IoT devices. Ubusha are Africa's leading, largest and fastest growing Identity focused security service provider. We strive to grow our people, our customers and our community through innovative approaches to complex challenges. Ubusha has pioneered the Identity Governance and Access Management industry along with partnerships with the leading security vendors in each of their solution areas. Ubusha continue to lead as a trusted advisor to customers with a singular focus on customer success and value. ACS is a leader in the secure electronic transactions market with leading international partnerships. Deloitte Legal, amongst the largest legal and regulatory service providers in Africa, assists clients operating in increasingly complex legal, regulatory and digital environments through a multidisciplinary approach, combining integrated legal and commercial expertise. The company is founded on a results only work environment philosophy. We believe that the people we work with can and should be trusted to deliver on the promise they make to us and themselves when they join our team. We value candour, transparency and accountability above all other things. Communication and collaboration is key to our success and ability to deliver on our promise to our customers. Khipu Networks is a leading provider of Wi-Fi and network security solutions; Ensuring the security, integrity, performance and availability of customer services and networks. 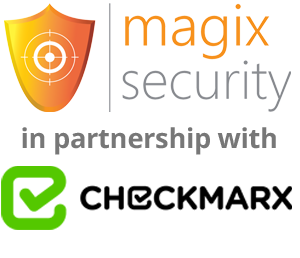 Magix Security Magix Security delivers comprehensive and trusted Cybercrime Defense and Detection solutions and services to address, manage, and contain the risks of financial losses and reputational damage arising from the misuse of applications, or other IT information assets, by employees and/or third parties. Checkmarx Checkmarx provides the best way for organizations to introduce security into their Software Development Lifecycle (SDLC). The product enables developers and auditors to easily scan un-compiled code in all major coding languages and identify its security vulnerabilities. With Checkmarx's CxSuite, auditors and developers have immediate access to the code analysis results and remediation advice. We provide user friendly, high productivity, flexible and accurate risk intelligence platform that ensures your application remains hacker-proof. Checkmarx has been named a "Challenger" in Gartner's 2014 AST Magic Quadrant and announced "Best Product in Application Security 2014" by Cyber Defense Magazine. We create sustainable change in your organisation to enable you to govern and manage your information risk. Panda Security is a European based security vendor with a global footprint. Initially focused on the development of antivirus software, the company has since expanded its line of business to advanced cyber-security services with technology for preventing cyber-crime and addressing advanced threats. The Adaptive Defense product family is an Endpoint Detection and Response (EDR) solution that addresses the changed threat landscape with a differentiated approach using machine learning and big data. The company is recognized by Gartner as Europe's sole EDR vendor. 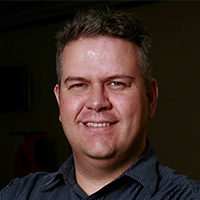 In 2006, Jeremy Matthews founded Panda's local office in Cape Town, opening the international vendor's first presence on the African continent. Pink Elephant is a knowledge company that enables IT Management Best Practice through innovative Technology, Education, Consulting and Support Services. We offer a cyber threat intelligence platform in partnership with EclecticIQ. Popcorn Training create cyber awareness campaigns that are informative and engaging. Content is delivered on a gamified platform, integrating phishing simulations, quizzes & videos to explain potential cyber threats, policy compliance and what the expected user behaviour should be. Popcorn Training is a Knowbe4 subsidiary, a leader on the Gartner Magic Quadrant. Qualys, Inc. (NASDAQ: QLYS) is a pioneer and leading provider of cloud-based security and compliance solutions with over 10,300 customers in more than 130 countries, including a majority of each of the Forbes Global 100 and Fortune 100. Qualys helps organizations streamline and consolidate their security and compliance solutions in a single platform and build security into digital transformation initiatives for greater agility, better business outcomes and substantial cost savings. The Qualys Cloud Platform and its integrated Cloud Apps deliver businesses critical security intelligence continuously, enabling them to automate the full spectrum of auditing, compliance and protection for IT systems and web applications on premises, on endpoints and elastic clouds. Founded in 1999 as one of the first SaaS security companies, Qualys has established strategic partnerships with leading managed service providers and consulting organizations including Accenture, BT, Cognizant Technology Solutions, Deutsche Telekom, Fujitsu, HCL Technologies, HP Enterprise, IBM, Infosys, NTT, Optiv, SecureWorks, Tata Communications, Verizon and Wipro. The company is also a founding member of the Cloud Security Alliance. Risk-X is a global provider of practical and effective Governance, Risk, Training, Audit, Advisory and Assurance services and solutions. When it comes to security and specialist resources we have real world experience across all market sectors and verticals. Telspace Systems provides security assessment services to organisations in order to make organisations as unattractive to cybercriminals as possible thus reducing their cyber security risk. Our main goal is to provide high quality services to organisations and to add value. Services include Application Assessments (web, mobile and thick), Social Engineering, Attack and Penetration Testing, Infosec Training and Advisory (consulting). 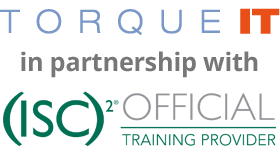 Torque IT Torque IT, the Award Winning Cyber Security Training Provider, brings you the best internationally accredited Cyber Security Training in the world. Experience latest hands-on labs, tools, techniques and much more! (ISC)² (ISC)2's reputation in the global market is synonymous with internationally acclaimed industry leaders in the Cyber Security space. We are constantly striving for excellence by aligning ourselves with industry-leaders, and to be on the pulse of industry trends. Afrocentric IP is a GRC company, Governance, Risk and Compliance. We offer turnkey solutions for our customers that combine the technology and mitigate risks to ensure governance and compliance. CompTIA is the leading provider of vendor-neutral IT Certifications globally. With more than 2,000,000 IT Certifications issued, CompTIA is dedicated to helping Employers and IT Professionals lead the charge in our digitally connected world. J2 Software is a respected African security focused technology company that delivers world class outsourced managed security services, continuous monitoring and the latest solutions to protect you from changing cyber threats. We provide security through visibility. LiyaTech Solutions is a consulting firm providing practical solutions to IT challenges via executable research, tools and advice that have a clear and direct impact on your business. Our services include best practice development programs, and consulting services. Together, these services help you work more effectively, make better decisions, align IT strategy to your business' goals and reduce IT risk. Our comprehensive solutions include tools and templates to support your IT initiatives, providing immediate practical application for measurable results. LiyaTech Solutions is a South African black owned and controlled corporate Information Systems & Security Specialists servicing both private and the public sector. iCrypto provides trust-elevation to businesses which enables faster digital transactions - driving profitability for the organization, while bringing accountability throughout the eco-system, using low-friction patented technology. KYOCERA Document Solutions South Africa are renowned for tailor-made document solutions that provide a perfect blend of premium products, software solutions and professional services that increase an organisation's workflow efficiency, enhance employee productivity, minimise environmental impact and reduce operating costs, whilst focusing on overall value, rather than just the acquisition price. OT-Morpho is now IDEMIA, the global leader in trusted identities for an increasingly digital world, with the ambition to empower citizens and consumers alike to interact, pay, connect, travel and vote in ways that are now possible in a connected environment. 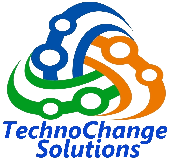 TechnoChange Solutions recognizes the importance of securing our global customer's data. Building effective systems, improving corporate governance, regulatory compliance, high success rate in strategic ICT project outcomes and enterprise risk management. We are the trusted IT consulting company by our global customers on CyberSecurity strategies, Enterprise Risk Management, public sector policy management, and data protection. Our team consist of highly skilled international management consultants. Webber Wentzel is a leading law firm on the African continent. We provide tailored and commercially-minded solutions to our clients to help them achieve success in whatever they do. ISC² Gauteng Chapter is the first Chapter to be established in South Africa and in the greater Southern Hemisphere. Our mission is to advance information security in communities situated in and around Gauteng, South Africa, by providing security professionals with the opportunity to share knowledge and educate others. The IITPSA has a proudly South African heritage of more than half a century of serving the South African body of Information and Communications Technology (ICT) practitioners and professionals. Established in 1957 by a few like-minded 'computer professionals', registered in 1958 as a limited company (then converted to a Section 21 company, now Not-for-Profit Company (NPC)), the IITPSA has grown into a body that is reinventing itself in the twenty first century. ITWeb’s Brainstorm is a local monthly magazine for decision-makers and other intelligent people. Brainstorm offers content on burning business issues that is fresh, controversial, independent and valuable. CareerWeb was launched in 1999 and is the leading ICT job portal that focuses purely on the ICT industry. CareerWeb is commited to providing the best service and value to this specialist niche market. CareerWeb is the career site of sister publication ITWeb. CareerWeb is in a unique position to target ICT professionals. It is the premier career site providing IT professionals with a ‘one-stop shop’ for career opportunities, career and salary advice and CV storage. This makes CareerWeb the perfect place for advertising job vacancies and targeting skilled IT professionals. ITWeb Africa provides the latest news, analysis, features, market and video reports, and insights into the continent's changing telecoms and technology industry. Follow the ITWeb Events community to engage with your peers, read our editorial pieces and newsletters and more.